Damages were paid today to many, many people in the aftermath of the Apple iBooks price fixing case. Paid, specifically, to iBooks, Barnes & Noble, and Amazon customers, those whom the government determined to have been harmed by Apple’s collusion with the publishing industry to keep ebook prices high. $400 million was awarded to customers. About twenty-five of those 400 million were given to me in the form of Amazon credit. Credit I could not use, of course, because a little over a year ago Amazon exiled me for “excessive returns.” I had made several heartfelt entreaties in those days, but was each time denied. I was banished. Being legally owed today’s settlement credit, but unable to do anything with it, I decided to ask Amazon what should be done. I suggested they might just cut me a check, and if not, I would next ask if they could simply award it to my wife (who got a way bigger credit than me, but whatever). Of course, I also suggested that they might just reinstate me. Here’s part of the response I got back. 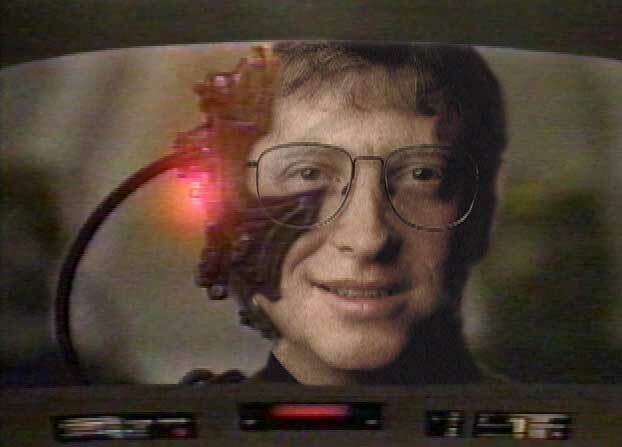 I am once again welcome to roam the virtual aisles of the Everything Store. Wiser, more cautious, but welcome. Perhaps this has something to do with the political climate. Perhaps Jeff Bezos, who loathes Donald Trump, wishes as Hillary Clinton does to build bridges, not walls. Or perhaps this was Amazon being in a celebratory mood over their moral victory over the behemoth Apple. Whatever the reason, it’s good to be back. Now if you’ll excuse me, I have some heavy Wish List maintenance to attend to. I continue to have access to any Kindle content I’d already purchased, which is substantial, and I have a lot of books still to get to. I continue to be able to purchase Kindle content on my existing devices. I happen not to own an actual Kindle e-ink reader now, and do all my reading on my LG G3, though I might like to have a real Kindle e-reader again at some point. But. What I can not do is register a new Kindle e-reader to my account, meaning that there’s no reason for me to ever buy a Kindle device because I wouldn’t be able to activate it and get my stuff onto it. Or, at least, that’s what I’ve been told. I sold the Kindle I used to have when Amazon kicked me out, because I assumed I wouldn’t be able to buy any new books on it. Wrong move. So if you ever get the boot from Amazon, hold onto your Kindle. You can’t get another one. Well, I guess you can acquire one, but you can’t do anything with it. And may whatever god you believe in have mercy on your soul. The saga of shame and betrayal that was my exile from Amazon took an uglier turn, as the company went from refusing to serve me as a customer, which they are well within their rights to do, to denying me my own property and even disposing of it. You see, on top of being an avid Amazon buyer, I was also an active Amazon seller. I’ve been selling my used stuff on Amazon for as long as they allowed people to do so: CDs, books, cases, accessories, phones, laptops, everything. My rating was very high, and it was great for both me and Amazon. I got to make money on my old stuff, and they made money off of every transaction (more than they ought to, frankly — and here’s where you should be selling phones, by the way). But when they closed my customer account, they closed my seller account as well. 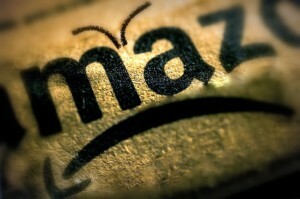 Amazon offers the use of its own fulfillment centers for third-party sellers like me. The seller sends their merchandise to Amazon, and then it can be sold as part of Amazon Prime, and customers can get their free shipping and quick turnaround. It costs the seller a little more, but it can be worth it for the raw convenience of sending everything to Amazon at once, and having them deal with getting it to customers. At the time that Amazon closed my customer account, I had eight or nine items still in Amazon fulfillment. Nothing valuable; a book, a couple of cases, a charging dock, headphone pads, stuff like that, which probably added up to about $50 worth of stuff, or so I guessed. In order to get one’s stuff back, one is supposed to log in, and fill out a request to have it shipped back to you. But Amazon had shut down my account, which meant I couldn’t log in and make such a request. Eventually, I got an email from Amazon’s seller program saying that I needed to specifically request to have my stuff returned or they’d dispose of it. I sent many, many emails and replies to various Amazon emails (many of which were to no-reply addresses, but most were not) to make clear the problem: You shut down my account and barred me from logging in, and therefore, I can’t log in to make my request. Please just send me my stuff to my address (which I provided, severally). I never got a response that made sense. It was always some form response telling me the same thing over and over again: We won’t re-open your account, and please log in and request your stuff before we destroy it. It was maddening. First, she couldn’t even find my account’s merchandise listed anywhere because my account had been closed, which shut it off from her view. I expressed how insane it was that Amazon was going to destroy my property without giving me any recourse to retrieve it first. It was a kind of theft, I felt. The agent said that somewhere in the finest of print were clauses about Amazon having the right to dispose of inventory if an account is closed or something, though she agreed that this was nuts and no one could be expected to know that. Then she successfully tracked my missing inventory through the case numbers in the (many) emails, and listed off what there had been, which she said would have added up to about $35 in sales if all had been sold. I suggested that Amazon could at least compensate me for the items they were getting rid of without my permission. Then she rattled off all the seller fees that Amazon charges, including some I’d never heard of, and said at the end I’d be theoretically “owed” about $8. But, she told me, to even go through the process of transferring any money to me, it would cost Amazon about $10. The long and the short of it was that Amazon was getting rid of my stuff and there was absolutely nothing to be done about it. She even suggested that under some ways of tallying it all up, I might owe Amazon 40 cents. “How will you be paying for that today?” she joked. Ha ha. I believe personally that Amazon didn’t give me enough of a chance when they closed my customer account, though I also maintain that they had every right to do so. I am not entitled to do business with them, and they are not obliged to do business with me if they don’t think I’m a good customer. But it’s something else entirely for me to have entrusted my own property to them, and for them to block me from accessing it and then destroying it – particularly when my record as a seller was exemplary. It wasn’t much stuff, of course. Odds and ends that are of no real value to me beyond what I could sell them for, so I’m not “harmed” by this. But I do think Amazon is behaving abysmally in this situation, because it’s simply not their stuff to do with as they please, it’s mine. I clicked “No.” What do you think I got? So shall it ever be. Once again, I’m not having comments on this post because I don’t feel like moderating them. Comments on the original post are still open. Much to my surprise, folks have been far more interested in my banishment from Amazon than I expected, and my post has generated enough discussion and debate that I thought I ought to clear up a few small points that I didn’t directly address, if for no other reason than some folks are making assumptions about this and that. Whatever, it’s not a big deal, but it can’t hurt to clear up some things. I did not intend to imply at all that I thought Amazon was in the wrong for closing my account. The post was meant to express my sense of alienation at the sudden turn of events, not a rant against Amazon. I mean, I’m not happy about it of course, and I wish they’d given me a warning before this happened, but it’s a business that they’re free to run as they choose. I operated under what I understood to be their rules, maximizing for myself what they allowed. And they didn’t like it, and they kicked me out. Shapow. That’s their right. 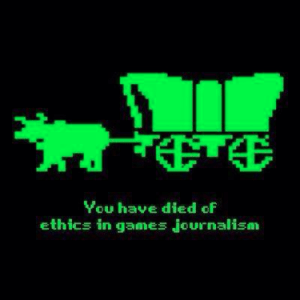 I didn’t think I was doing anything unethical, though I have no problem with people who think that I was. I also don’t at all begrudge Amazon for doing what they did. I do not at all feel “entitled” to do business with anyone. And as I mentioned, there was no warning. But, curiously, they did send me an email early on that I can only paraphrase as, “We see you returned a bunch of things, is everything okay?” To which I said, again paraphrasing, “Yes. Is everything okay on your end?” To which they replied, paraphrasing, “Yes.” I suppose now that their check-in was intended as a veiled warning, but it sure didn’t translate that way to me. There’s been some noise in the comments about my hurting third-party sellers by returning their merchandise. If it helps, and whatever if it doesn’t, the only third-party devices I returned were those that were damaged on receipt or simply the wrong item. Two HTC One M8’s in a row arrived damaged, and the third was the wrong color. 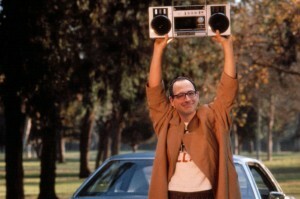 Also, I think some people thought I was doing this in order to procure review units, to, like, write reviews. I mean, I do write reviews (well, more essays and reflections), but no, this was to find the right phone for me. That’s all. And this isn’t a clarification, but some new data: I saw that there was a sale on a Kindle book I was interested in, and I assumed I couldn’t buy it. But on a lark, (remember I still have access to all the digital things I’ve bought), I tried, for shits and giggles, to buy it from the Kindle app on my phone. And it worked! I bought it! I have it now! I don’t know if that will last, say, past the expiration date of the credit card I have on file, since I won’t be able to update it since I can’t log in to my account anymore. But it’s a little something, I guess. And I guess my pre-order of Neal Stephenson’s Seveneves will still go through. Maybe. Oh, and I’m not having comments on this post because I don’t feel like moderating them. Comments on the original are still open. Update, June 2: Nope, I can’t buy Kindle books, and I can’t get Seveneves from Kindle. Bought it on Google Play instead. Let’s say you want to sell your used phone. Most ads you hear on podcasts will tell you to use Gazelle, and that’s fine. But you won’t get as much money for your device as you would if you sold it yourself. Let’s say you want to buy a used phone, either an older phone you can get for cheap or a newer device for less than something fresh from the manufacturer (or carrier store). You could go to eBay, but that’s very noisy and can be kind of shady. You could go to Amazon, of course, for either of these things. I can’t, but you could. But if you don’t want to go the route of Amazon or eBay or Gazelle, I think the best way to go is through a website I found called Swappa. The idea behind Swappa is dead simple. 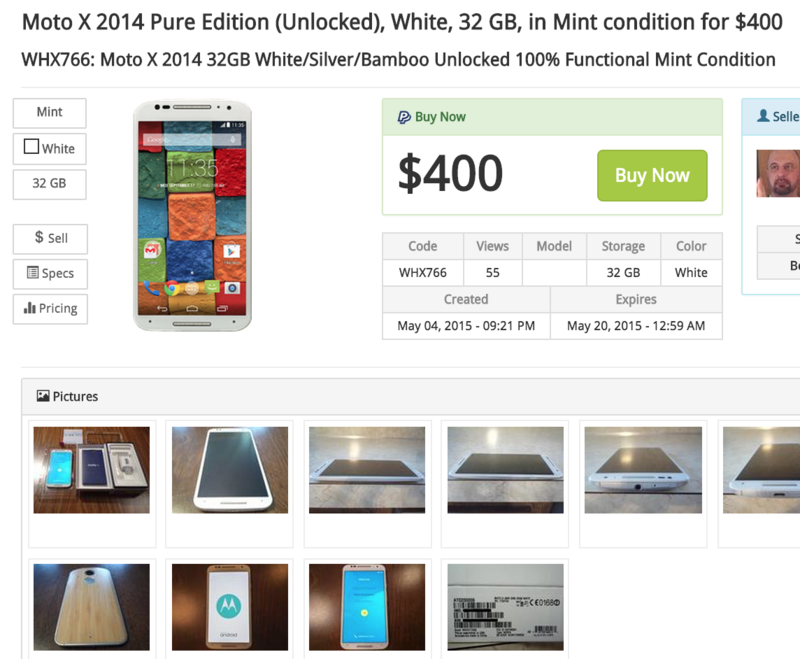 People who want a device buy it directly from the person selling it. Swappa sets up a sales template for each item, asks for certain information about your device, and has you post pictures (along with an identifying code so a buyer can be sure the images are legitimate). The usual drill. The cool thing is that there’s no worrying about what huge percentage a company like eBay or Amazon will take out of the sale. If you’re a buyer, you don’t have to worry about the markup. Swappa charges an extra $10 on top of every sale, and that’s it. The end. If the seller sets a price of $200 for their device, Swappa adds $10, and displays a price of $210 for the buyer. That’s it. Since these are usually fairly expensive items, Swappa presumes that sellers pay their own shipping, which of course can simply be factored into the price they’ve come up with. And it’s remarkable what better deals you can get as a buyer, and how much simpler and fairer it is for sellers. I’ve bought and sold a number of devices on Swappa as I’ve gone through my great journey of phone-trials, and it’s been excellent every time. My only issue has been when a phone arrived with a single dead pixel, and I was able to come to a very fair agreement with the seller. Because you’re dealing with a single human being with no corporate barriers between you, you can make things work on a case-by-case basis. It’s easy to find exactly what you want. You can browse by carrier or manufacturer of course, but you can also get very granular. If you are only interested in, say, a mint condition or better Moto X, unlocked, with a white back, a red front, and 64 gigabytes of storage, it’s easy to specify that with a few clicks. You can even subscribe to your wished-for item and get alerted every time a new one comes on the site. Yes, I have found browsing this site a little addictive. So how do you know you can trust these sellers? 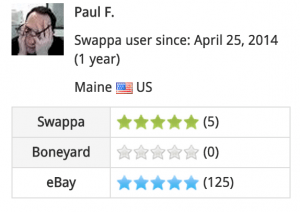 Swappa of course has its own rating system, where buyers rate sellers on the usual criteria. But you can also link your Swappa account to your eBay seller account so that a buyer can see how trustworthy you’ve been on eBay. In other words, you get to bring your online-seller resume with you to Swappa. PayPal, the only means of paying for things on Swappa, has built-in buyer protections, and Swappa support pounces to address any issues that might arise. It’s been great, and almost entirely worry-free. 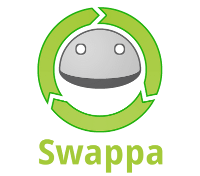 Even if I weren’t banished from Amazon, I’d be using Swappa for all my used device transactions (and new ones, for that matter, for often brand new items are for sale). It’s simpler, it’s fairer, and it’s just a little more human. 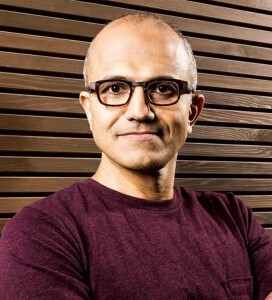 What if one day you heard from some nameless representative at Microsoft, and they told you that you were no longer allowed to use any of their products or services? No more Office, no more Windows, and for that matter no Xbox or Minecraft. Or what if Google forbade you from using any of its services? It gets tougher, doesn’t it? Not only would you have to use a different search engine, but no more Gmail, no YouTube, no Google Maps, no Hangouts, oh, and don’t plan on buying an Android phone. Even taking this out of the realm of the purely-digital, you can imagine how many walls you’d run into if, say, you were prohibited from using products made by Proctor & Gamble, or consuming anything made by Kraft or the Coca-Cola company. You’d find yourself constantly having to rejigger your thinking, and rule out items and services you’d never had to give a second thought to. Kraft foods, Google services, and all the rest, they were always just there. Over the past few months, readers of this blog (all seven of you) will know that I’ve been experimenting with smartphones, on a long and emotional quest to find The Perfect Device for me. I would buy a phone, try it out for a bit, and if it didn’t suit, send it on its way. Sometimes this meant selling again on eBay or Swappa or some such. But quite often, it involved buying devices from Amazon (either new, direct from Amazon itself, or from third party sellers on the site). And as you probably know, Amazon has a lenient and simple return policy – one of the many reasons I’ve been a delightedly happy Amazon customer since its beginnings in the 1990s – and I made liberal use of it. I would buy a phone off Amazon, give it a go, and when it didn’t work out, neatly send it back within the allotted return window for my refund. And you know that when you have a new phone, you want to protect it, right? Especially if you might return it. So I’d often buy cases for my trial devices, sometimes more than one in order to try a couple out and see what suited me. The ones I didn’t use, I’d return. If I returned the phone for which the cases were purchased, well, of course the cases would go back too. Again, I would always return things in the condition I got them, and always within Amazon’s return window. No lines were being crossed that I knew of. Though I used to joke, “I bet the folks at Amazon’s returns department have a picture of me hanging up with a bullseye on it.” Ha ha. A couple of months ago, I got an email from Amazon customer service telling me that they were closing my account, that I would no longer be able to make purchases from the site or purchase digital content. The reason: excessive returns. I had been exiled from Amazon. It was dizzying at first. 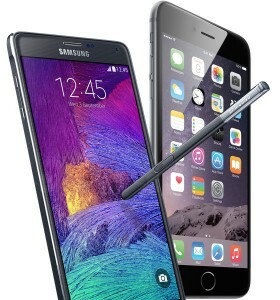 There was the internal flagellation I put myself through (Why couldn’t you just pick one phone and be done with it??? ), and the embarrassment I felt (My wife will leave me over this). But the most striking feeling was that of alienation, of feeling lost. I buy everything off of Amazon. Since it first came into being, I found excuses to buy from them over any other outlet. The reasons should be obvious: price, selection, customer service, speed and price of shipping, etc. Over the years those things have only gotten spectacularly better, from having the most books of anyone to having the most of everything of anyone. My wife and I have a Prime account, of course, because why wouldn’t we? My Amazon wishlist is a sacred space for me, where I keep a carefully curated list of the things for which I pine. I am also a Kindle aficionado. I have had just about every model since the second generation, and even owned the first Kindle Fire, and I kind of liked it! I own a glut of Kindle books that I’ve yet to even begin reading, and at the time of my exile, I had just gotten a Kindle Voyage. But now, I can’t shop on Amazon, not for phones, books, movies, music, gifts for my family, anything. I can’t get free two-day shipping. I can’t get hassle-free returns. I can’t maintain my special little wishlist. I can’t buy Kindle books, and I can’t buy Amazon MP3s (which are usually priced better than Google Play or iTunes, of course). I can’t stream Prime movies or shows. A powerful, robust hub of not just my online life, but my life, was now inaccessible. Like I said, it was dizzying. I tried to make my case to anyone at Amazon who would listen: I’d promise not to return any more items, I’d agree to have my account specially monitored, I’d go on a temporary probationary period so they could see me on my best behavior. I wrote emails to countless Amazon addresses, I called on the phone, I chatted online with representatives, and I even emailed Jeff Bezos himself. I’m […] of Amazon.com’s Executive Customer Relations team. Jeff Bezos received your e-mail and asked me to respond on his behalf. [ … ] The decision to close your account is a final decision, and won’t be considering further requests to reinstate it. And so there it is. I am exiled from the Everything Store. In the grand scheme of problems one could have, this is certainly no crisis. But Amazon is one of those companies, like Google or Kraft, that entwines itself into your life to such a degree that you rely on it like it was a utility, like it was air. It’s one thing to decide to wean oneself off of a given company’s service, like deciding to avoid using Google or Facebook if you don’t like their stances on privacy, for example. But to be kicked out, to have the door slammed in your face, is quite another. Now, to be clear, Amazon hasn’t taken anything from me. The Kindle books I own, for example, I continue to have access to. The same goes for music and movie content I’ve bought through them. Their system is smart enough, I suppose, to allow me the use of the things I rightfully own without allowing me to do literally anything else. But given the fact that I (finally) settled on a big-screened Nexus 6 for my phone, and given that I could never again purchase a new Kindle book, I quickly sold my Kindle Voyage. Why bother keeping it? 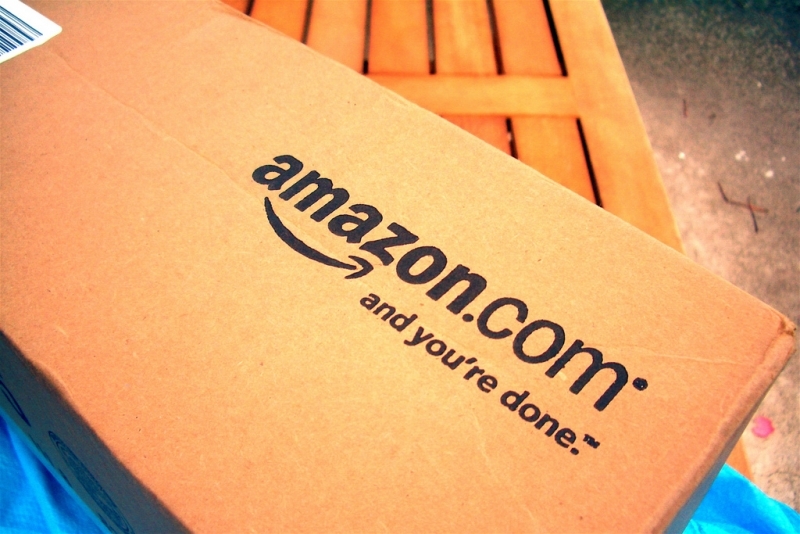 There are countless alternatives to what Amazon offers. Stuff can be bought anywhere. Alas, it means looking in lots of different places for stuff instead of defaulting to one site, and no shopping site is nearly as easy to use or as, well, familiar with me. But I adjust. I buy books over Google Play, for now anyway. I’m looking at the latest e-reader offerings from Kobo with some interest, but it’s a very grudging interest. (I could consider a Nook…kidding! I’m kidding. That’s ridiculous.) The selection will be lower, the price will be higher, the long-term viability will be questionable. But once again, I’m not really wanting for anything. It’s not really that big a deal. But I can’t help it. As stupid as it sounds, my feelings are hurt. 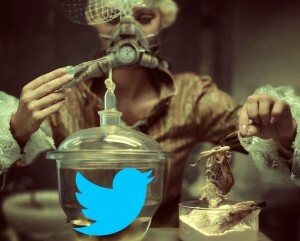 This seemingly-benign juggernaut of the digital age has shunned me for an infraction I wasn’t even aware I’d committed. The rest of the world will go about their online lives, breathing the air of Amazon, taking for granted that it will always be there. As they should, as it is supposed to be. But I’ll be that one guy at the party who’s allergic to everything he’s offered. No, thank you, but I’m not allowed to have any. (Come to think of it, I often am literally that guy.) Whatever services or products Amazon might offer up, I’ll be that one guy who doesn’t get to play. And it feels crappy. But it’s also fine. It is disorienting, certainly, and I’m still working on getting all my digital bearings. I try to remember what Friar Laurence says to Romeo as the young lover panics and tantrums over his banishment from Verona. And so it is. Goodbye, Amazon. I’ll be moving on, now. Jeff, if you change your mind, you know how to contact me. And hey, Kobo folks, I’d love to take a look at a review unit. I promise I’ll return it. UPDATE May 9:I’ve got a new post with some clarified points and a little tiny itty bitty smidge of decent news.